In the engaging Chesterton and Evil, Mark Knight offers a compelling analysis of the increasingly marginalized, but undoubtedly influential Gilbert Keith Chesterton and his late 19th and early 20th century fiction. In his Autobiography Chesterton observed: "Perhaps, when I eventually emerged as a sort of theorist, and was described as an Optimist, it was because I was one of the few people in that world of diabolism who really believed in devils." 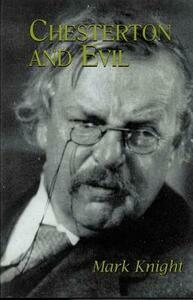 Arguing that a serious analysis of the nature of evil is at the center of his fiction, Chesterton and Evil offers an exciting, new interdisciplinary reading of Chesterton's work, and provides a means of locating it among important theological and cultural concerns of his age.